Oman’s Power and Water Procurement Company (OPWP) has announced plans to build the sultanate’s second largest solar project with a 1 GW capacity and has set commercial launch for 2022. The future project will be located in the Dhahirah governorate and first supply for utility is expected for 2022. 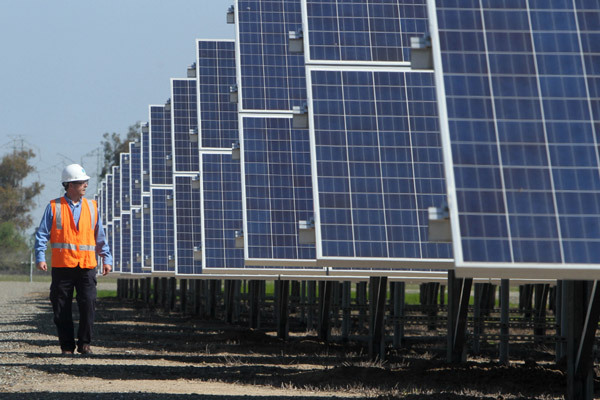 The project dubbed Solar 2022 IPP will be open for tender until October 22. The best bidder will be unveiled by the end of the year, Trade Arabia reports. The Solar 2022 IPP follows ‘Ibri II Solar IPP’; the country’s first commercial-scale solar project. Both projects will take place at the same time. The Gulf country expects to produce more than 2,600 MW of renewables-based power generation by 2025 as part of its strategy to have 10 per cent of its total produced energy from renewables. Posted by KanelkaTagba on Oct 9 2018. Filed under Energy, Headlines. You can follow any responses to this entry through the RSS 2.0. Both comments and pings are currently closed.